As my month as resident-reviewer here comes to a close, I want to look at something different. I want to return to two artists whose relationships with words have affected my own approach to poem-making: Jenny Holzer and Sophie Calle. 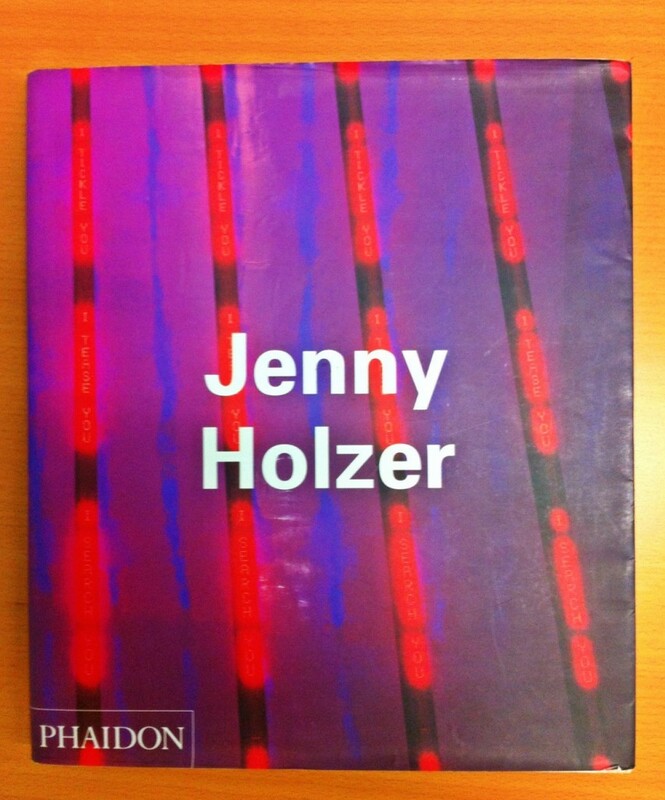 True story: eight years ago I met the artist Jenny Holzer in a large format Polaroid studio in Manhattan. She’d invited my friend to pose for photographs that would be sold in an auction. 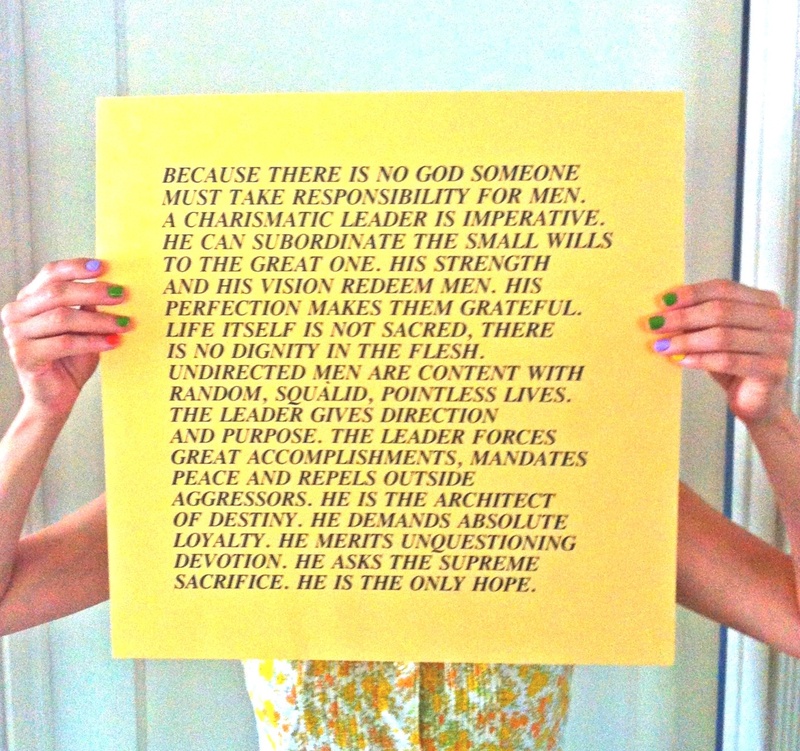 The year before, I took him to UC San Diego’s campus to see Holzer’s Green Table—a large granite picnic table inscribed with her texts. He fell in love with her work and wrote to her agent, requesting that Holzer commission a tattoo for him. YOUR MODERN FACE SCANS THE SURPRISE ENDING is the text he chose to have permanently inked across his ribs. In the New York Polaroid studio, Holzer was quick and deliberate, instructing Jesse where to stand and guiding the photographer on how to frame each shot. The ending of this story is a dream come true: I was in a room with my favorite living artist, a woman I’ve idolized for years, watching her document her own art. So, it was no surprise that my modern face stared up at hers blankly. I was unable to articulate a single coherent sentence in her presence. 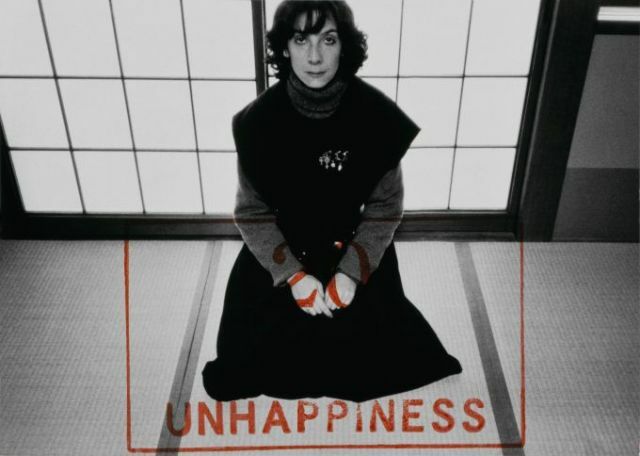 Where Holzer creates public speech with an authorial voice that is collective, French artist Sophie Calle externalizes the internal, revealing intensely personal experiences with text and image in public spaces. 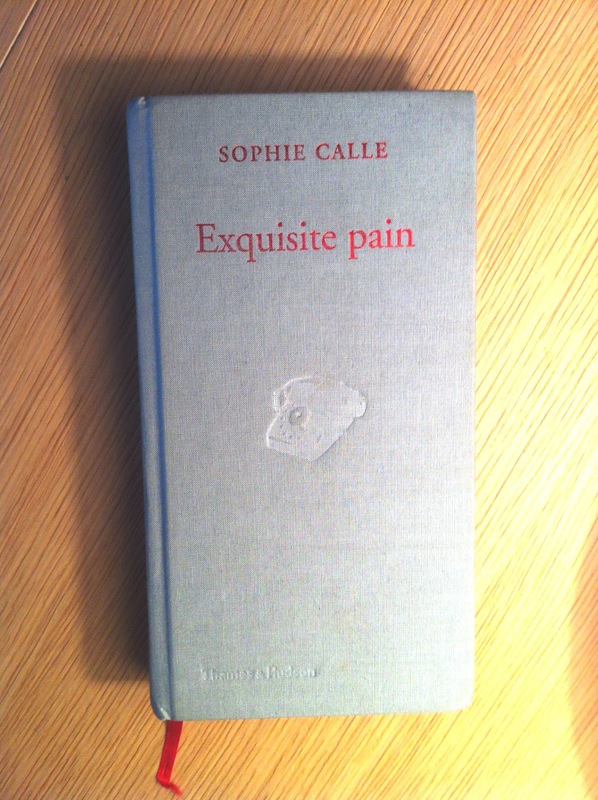 The bits of information build a narrative that at first glance could be scraps from Calle’s diary, but the story is told with an emotional distance in an overall expository, detached tone. …whenever people asked me about the trip, I chose to skip the Far East bit and tell them about my suffering instead. In return I started asking both friends and chance encounters: “When did you suffer most?” I decided to continue such exchanges until I had gotten over my pain by comparing it with other people’s, or had worn out my own story through sheer repetition. Calle repeats her breakup story ninety-nine times on one page beneath the photo of the red phone and places it beside the story of a stranger’s most painful memory on the other page. With each entry, the details of her obsessive retelling begin to diminish. The text literally fades until the ninety-ninth page is blank, nothing but black paper below the photo of the red phone on the white hotel bed. Through the repetition and juxtaposition of her own grieving with the pain of others, she allows herself to heal. These artists are creating works of art. But they are also poetry, too. 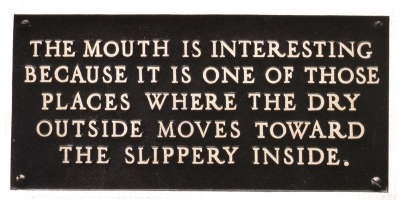 Both Holzer and Calle play in a region where the two pursuits overlap, where text becomes art, where inside is literally turned outside for us to see, to read, and to experience.